I have never been a fan of a trailer giving away too much and the newest "Avatar" trailer does exactly that. The trailer practically gives the viewer the entire story in a span of 3 minutes. I will say the newer trailer is a bit more engaging than the last, but I still have a few issues with this film. Mainly, the look of the of Aliens. They are just not as realistic as I would have hope. I won't go as far as to say they look like Delgo, but I definitely am not in awe from what I have seen so far. I have no clue what your talking about Schofizzy Avatar is gonna RULE!!!! 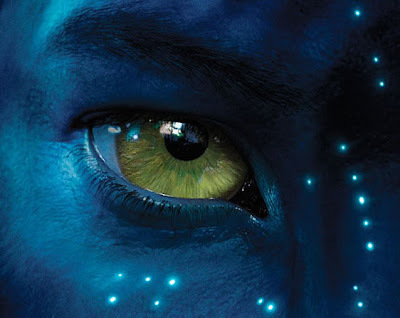 AVATAR looks amazing, i can't stop watching this trailer. loving the new layout brotha! lookin good. keep it up! I'm looking forward to seeing it. Wouldn't exactly say I'm pumped but it looks pretty cool. . .